Farm Archives | What Should We Do Today? 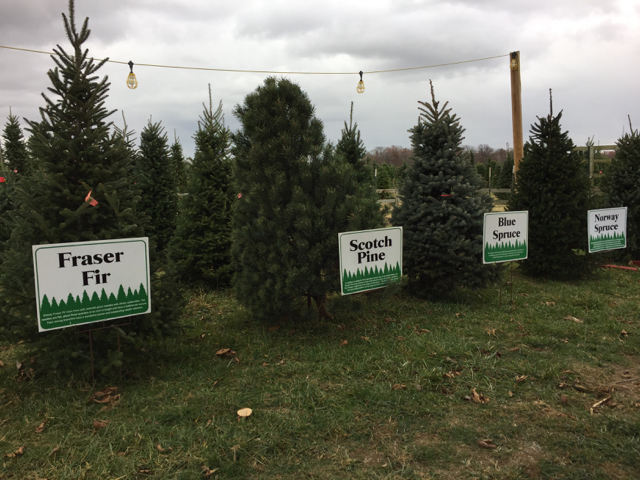 A big thanks to Leeds Farm for sponsoring this post! Leeds Farm is HUGE. 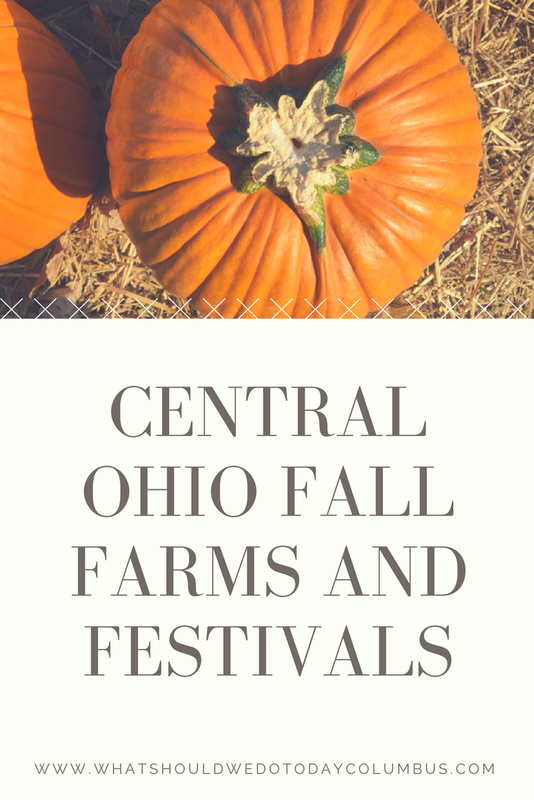 If you’re looking for a do-it-all and then some pumpkin farm experience, this is it! On our first visit, I was completely in awe! 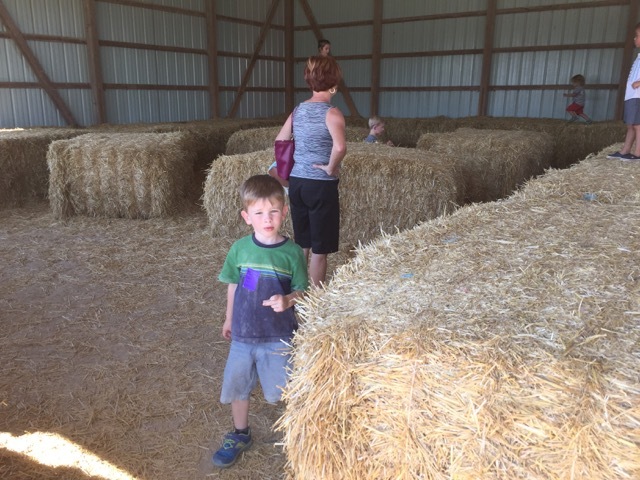 We knew they offered a lot of activities, but the size of the farm still took us by surprise! This was our second year visiting Leeds Farm on Opening Day! Don’t let the size and scope of the farm intimidate you though, because the size actually makes the experience better! We were there on opening day, at the same time as the Autism Festival and though there were tons of people there. 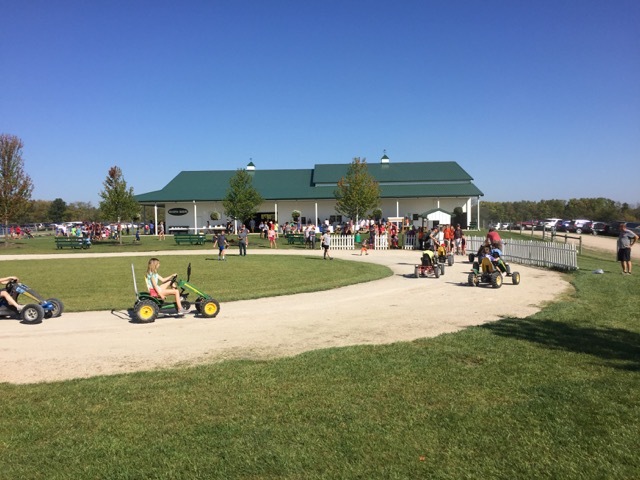 The fact that the farm is so big and there are so many things to do meant that it didn’t feel jam packed and the lines for activities were not super long. There are literally acres of space to spread out! 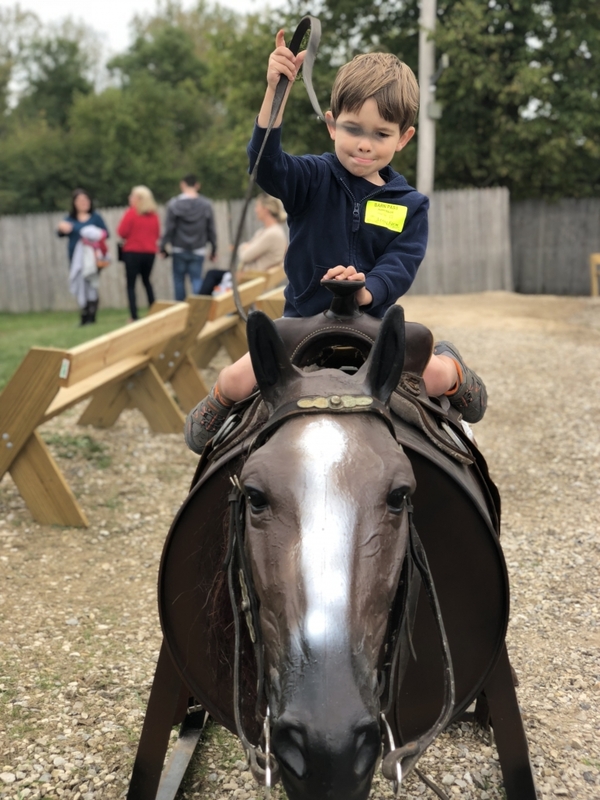 One of the great things about Leeds Farm is that there is truly something for everyone. 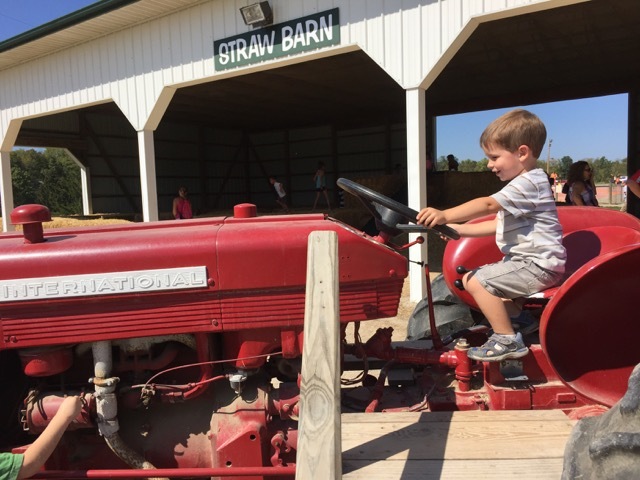 If you have toddlers, there’s the corn bin, an easy corn maze, animals to feed, pumpkins to pick, and a hayride. 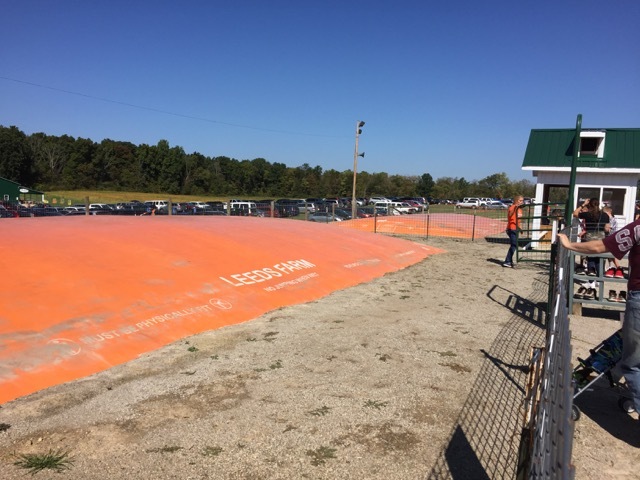 If you have active elementary school kids, there are pedal carts, a mini zip line, the pumpkin jump (a big orange trampoline), big slides and more! 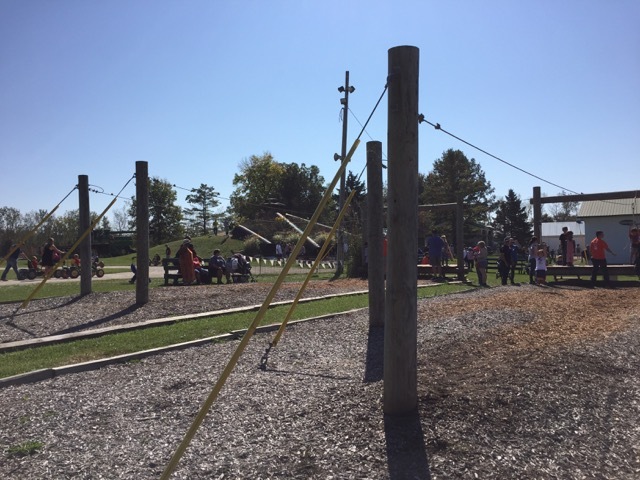 If you have middle schoolers (or kids 52+ inches tall) and up, there’s The Big Zip Line in addition to all the other activities! A full food menu is also available meaning you don’t have to leave the farm at meal time! And don’t forget to visit The Back Porch for kettle corn! 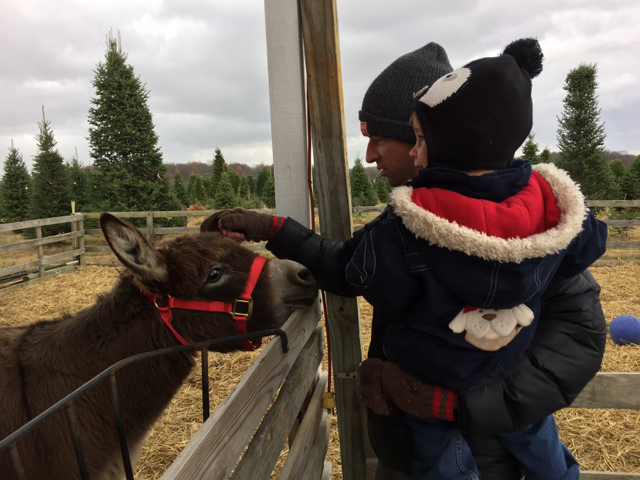 Wondering what there is to do at Leeds farm? 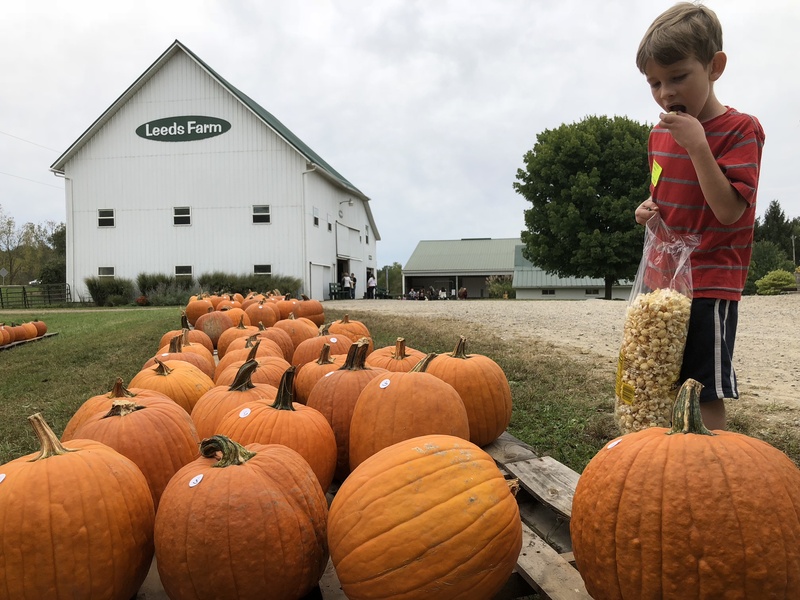 Here’s a break down of all the things there are to do at Leeds farm! 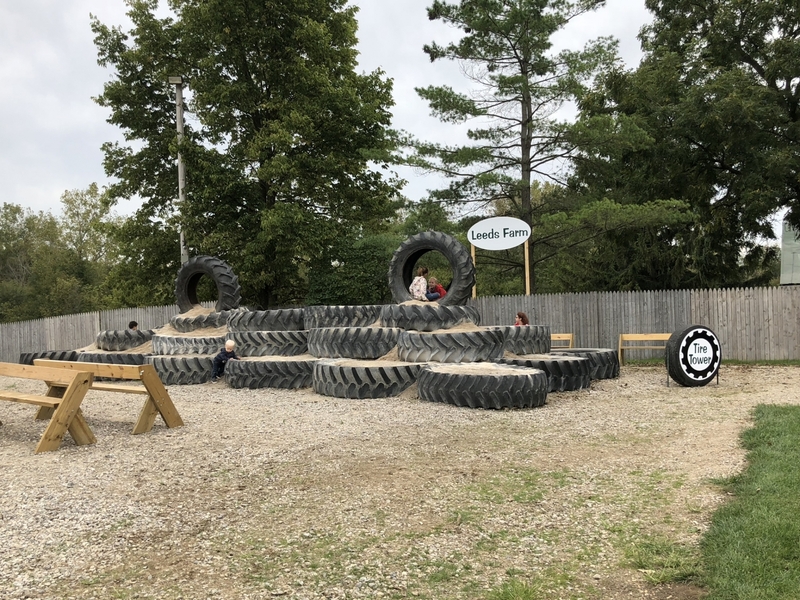 Your admission allows you access to all of these activities except paintball and The Big Zip, so you can feel free to pick and choose the activities that are best suited for your kids without having to tack on additional costs. 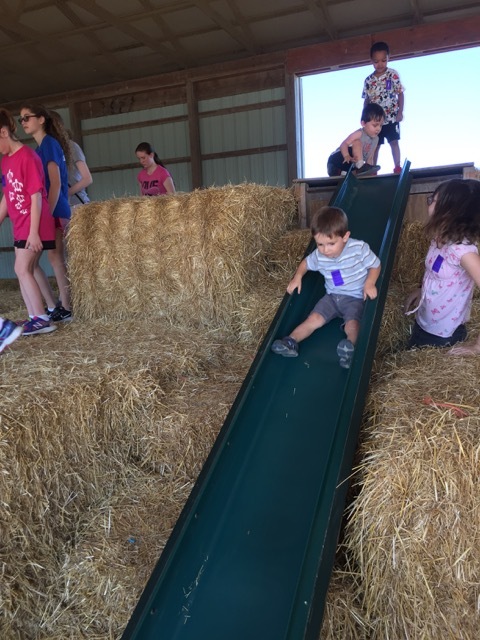 If you have babies and toddlers, keep reading because I will also tell you how to experience the farm without paying for activities your little kids might not be able to do! 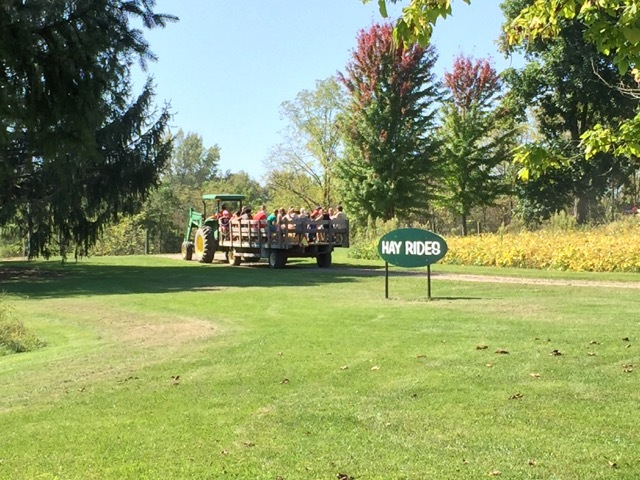 There are three Hayrides going at a time and the hayride lasts 10-15 minutes so the process operates like a well oiled machine! 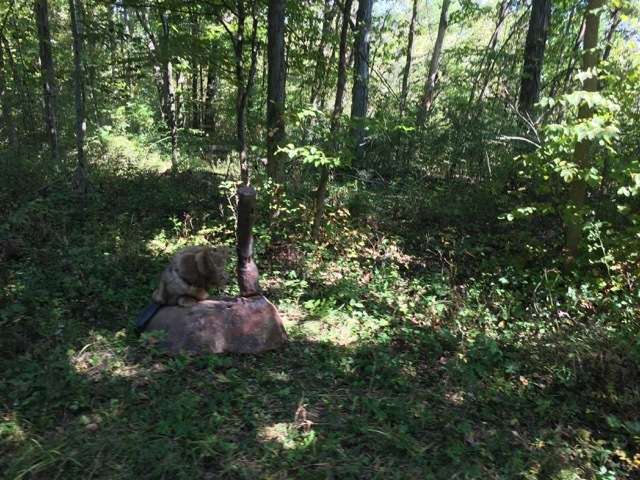 Throughout the ride, keep your eyes peeled for “animals” in the woods! 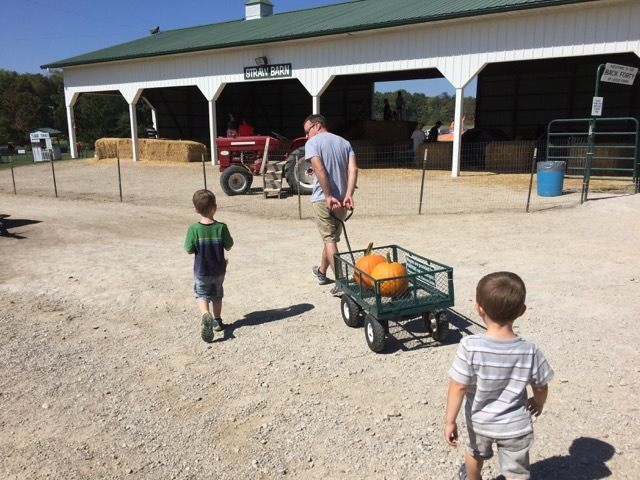 There are lots of pumpkins to choose from and carts available to carry your treasures to your car! The pumpkins are outside the Farm Shop and inside are lots of other gourds, pumpkins and squash to choose from! 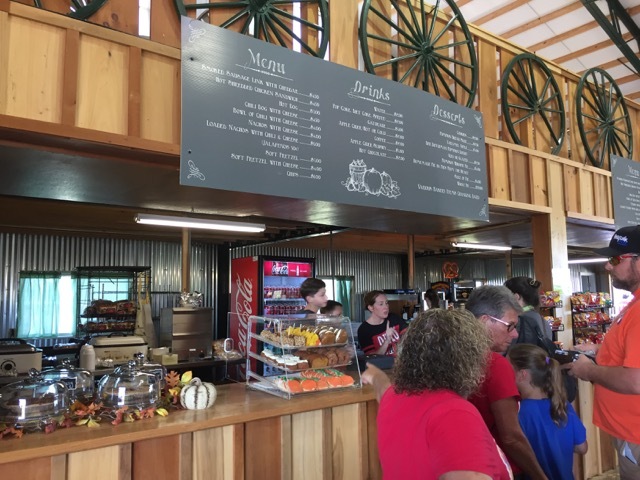 Inside the North Barn is a cafe with lots of food to choose from, from main courses like shredded chicken sandwiches, sausage, hot dogs and chili, to snacks and desserts such as nachos, soft pretzels, donuts, pie and my favorite, apple cider slushies! 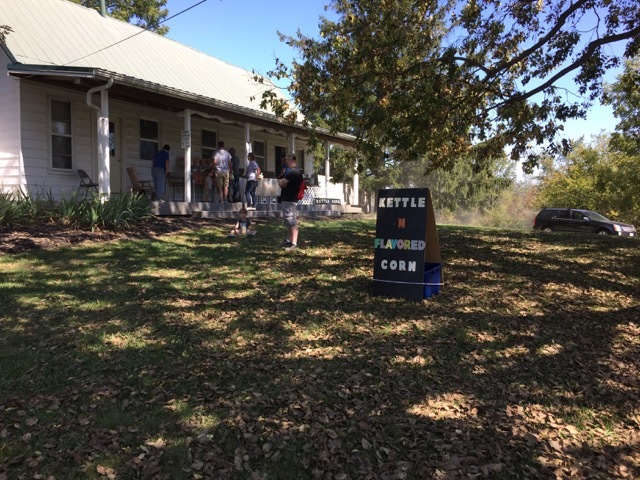 Don’t miss the Back Porch where the kettle corn is made and sold! 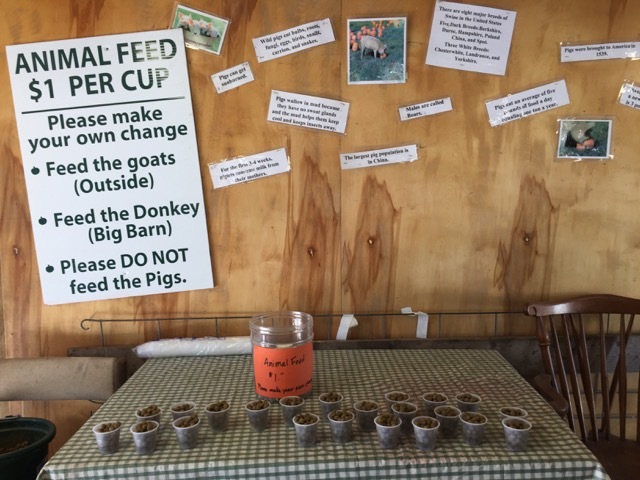 Kids can feed the animals at the farm and cups of feed are $1/piece. (Cash only here.) 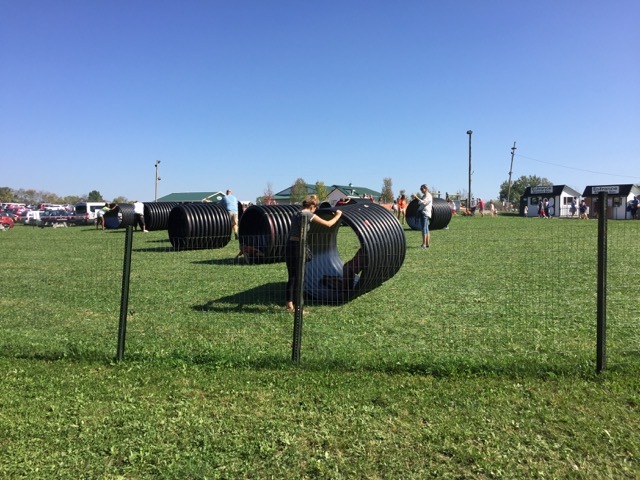 My kids loved sending the food down the tubes to feed the donkeys! The feeding frenzy doesn’t stop in the barn! 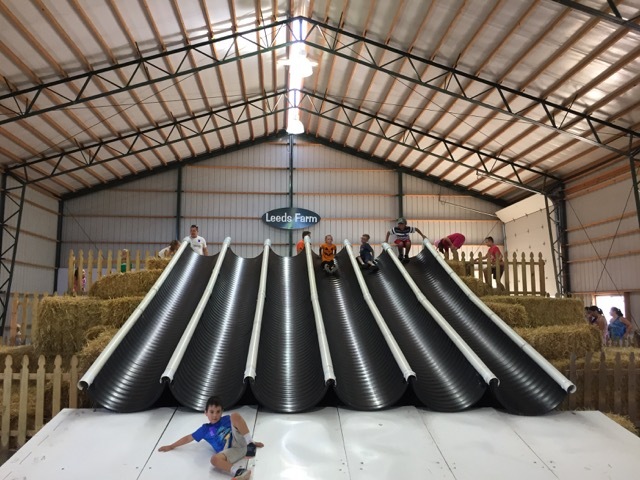 If sliding is your thing, you’ve got lots of options at Leeds Farm! 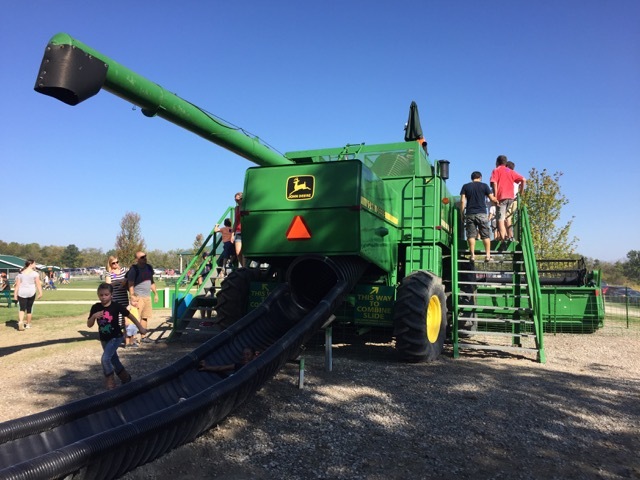 There are at least 4 areas where there are slides and they are of varying heights and fear factors, including one slide coming from a combine! This big huge orange thing is a trampoline of sorts! It’s called the Pumpkin Jump and it looked like tons of fun! 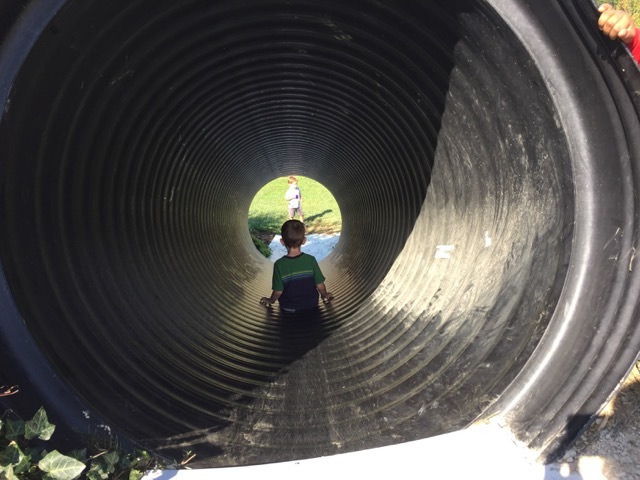 Want to roll around in a tube? You can do that too! 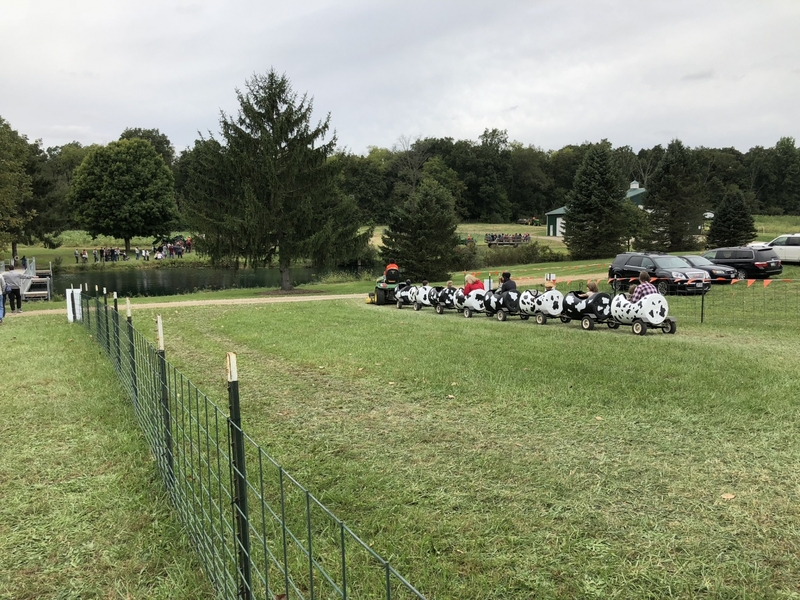 Anyone who can fit can ride in the Holstein Hustle for a trip around the farm! 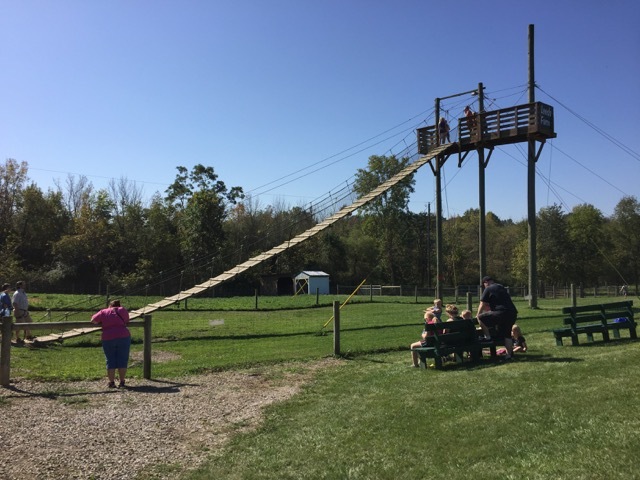 There are two options for zip lining: The Big Zip Line and the Mini Zip Lines. The Mini Zip Lines are perfect for those between 3 and 4 feet tall! The Big Zip is an additional cost and you must be at least 52 inches tall and under 250 lbs. 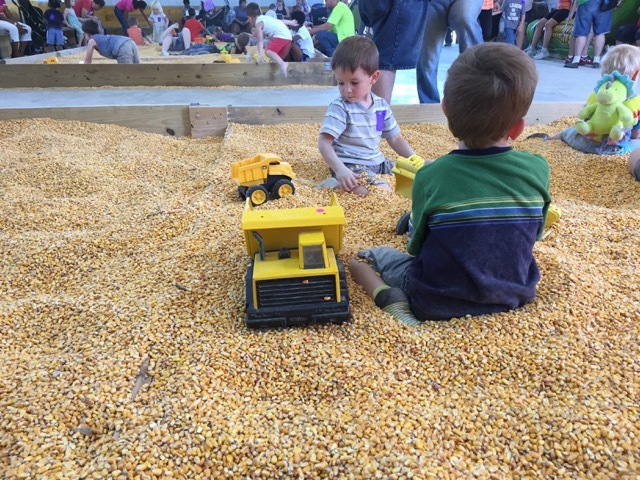 You know this is where my kids spent the biggest chunk of their time – digging, scooping and dumping corn with vehicles! 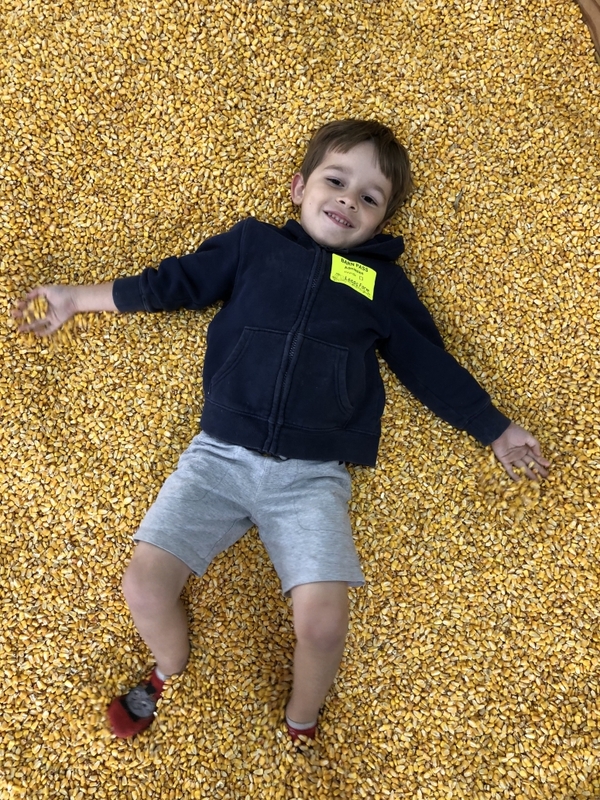 Warning: your kids will be covered in corn dust (is that a thing?) when they are done! This is a great play area for the younger kids. Parents can see in, nobody gets lost and it’s a fun space for the little ones to run around! We didn’t get to see a pig race firsthand, but several times a day, pigs are raced around this arena! I’m bummed we missed it because it sounds like a hoot! 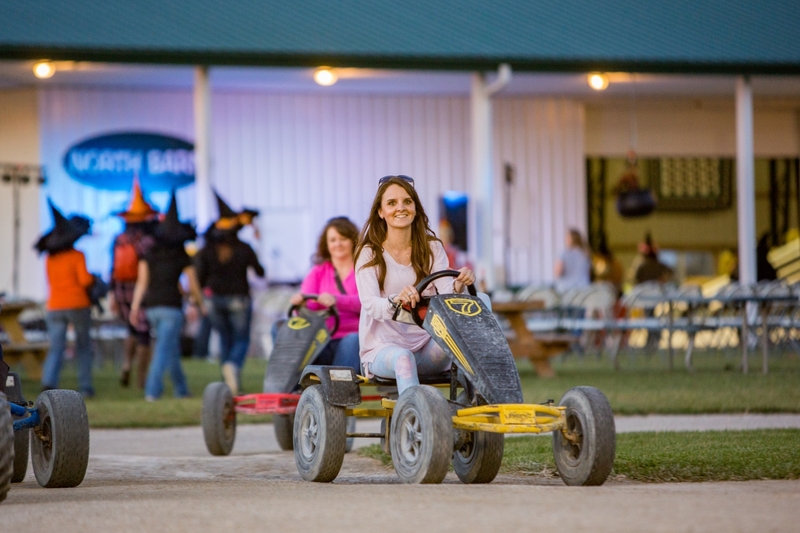 Pedal carts are fun for the kids and your little ones can get pushed if they can’t reach the pedals! 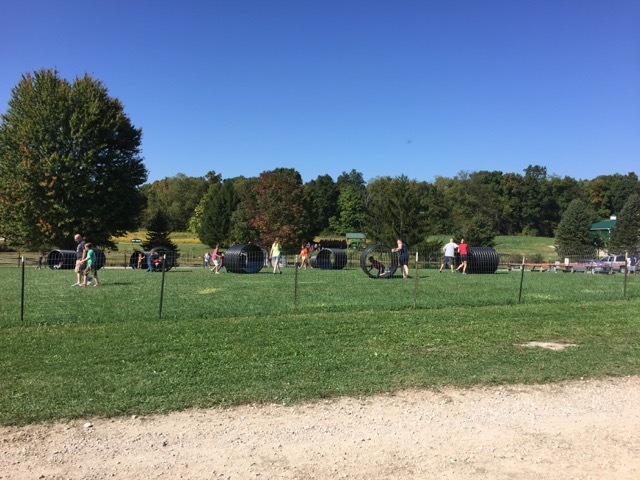 This activity is one of the few things that is not included in your admission but it is just $2 for a bucket of 15 paintballs or $5 for 50. New in 2018 is the Tire Tower! Lots of fun climbing entertainment right here! 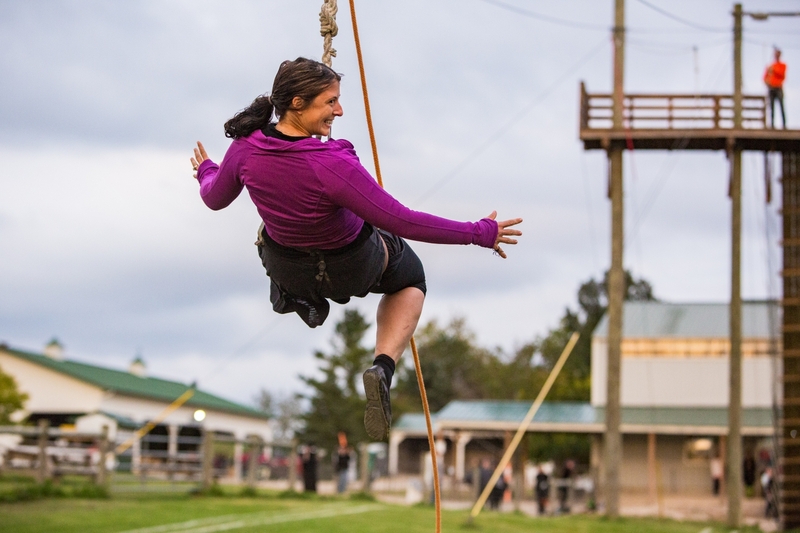 How to do it all: Admission to the farm includes all activities except paintball and the Big Zip. When you pay, you get a sticker to wear that allows you access to all of the activity areas. 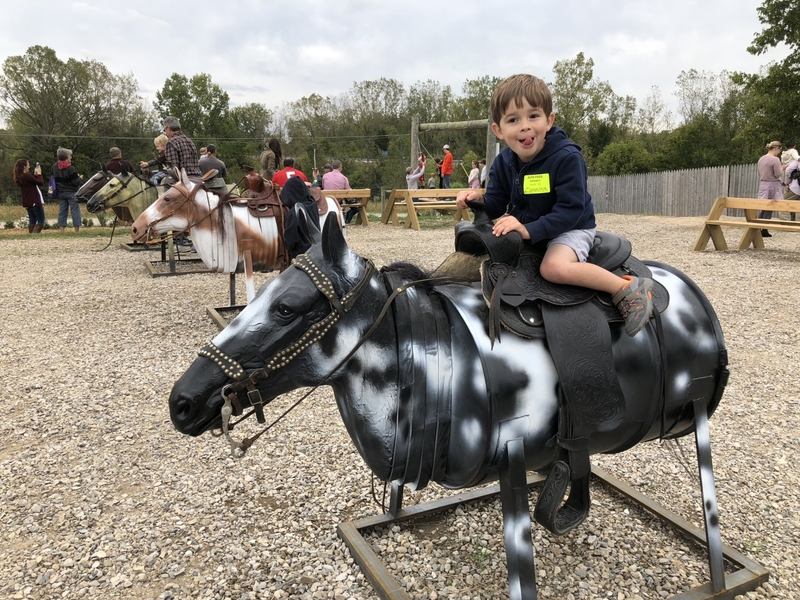 How to do some of it: A lot of the activities at Leeds Farm are geared toward ages 3 and up, but that doesn’t have to stop parents of babies from having fun! Or maybe you’re looking for a scaled down farm experience. 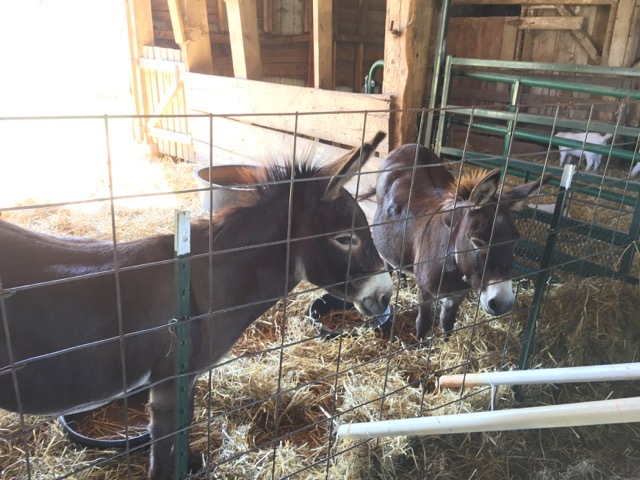 If so, it is free to visit the animals in the barn (and a cup of feed is only $1). 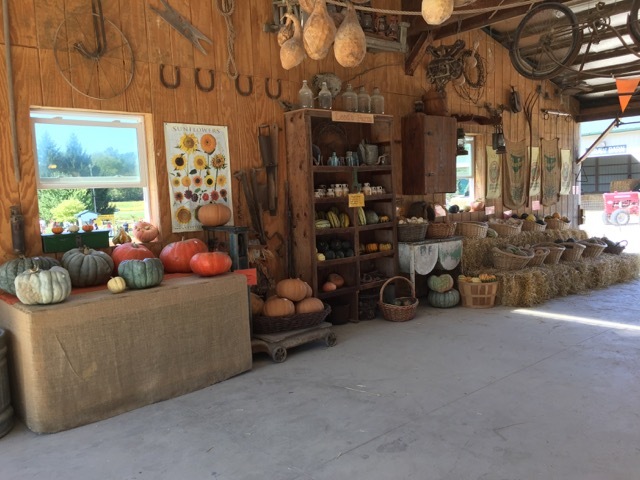 You can also shop for pumpkins, squash, and gourds with no admission fee. 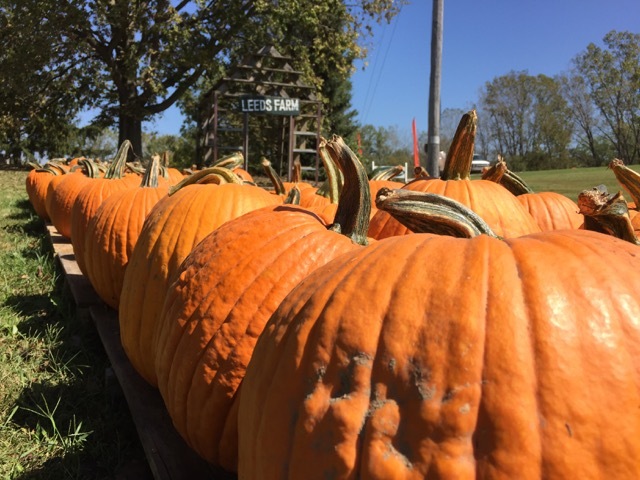 Pumpkins range from $2.50 for pie pumpkins up to $15 for the biggest pumpkins. 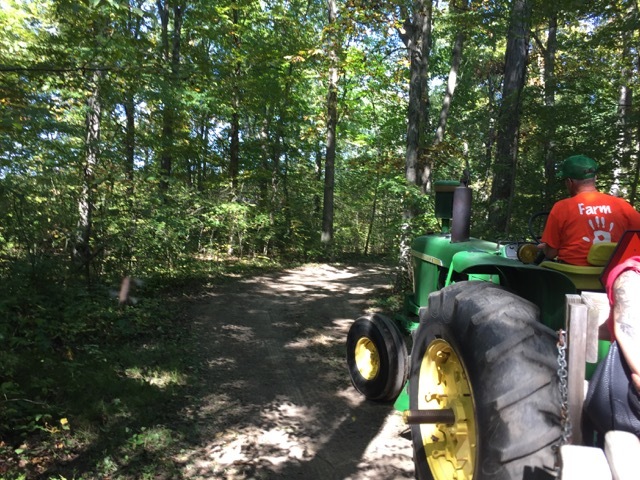 You can also tack on a hayride a la cart for $5/person. 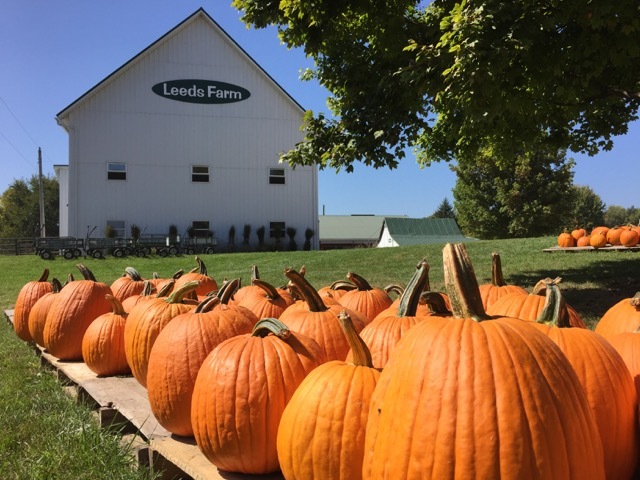 Leeds Farm is only open on Saturdays and Sundays through October. 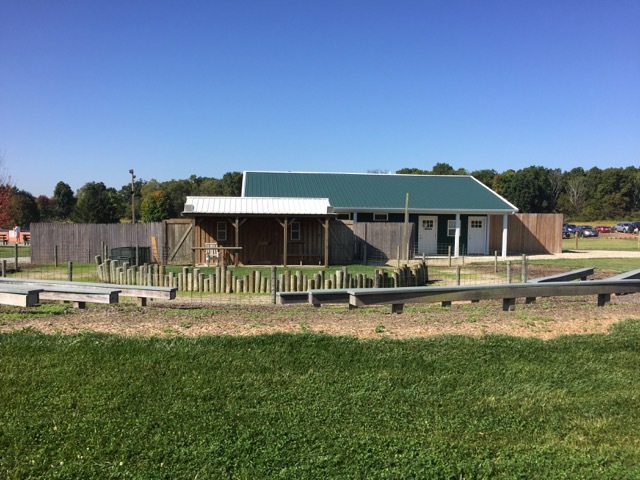 Guests are welcome to visit the animals in the barnyard and shop for pumpkins, squash, gourds with no admission fee. 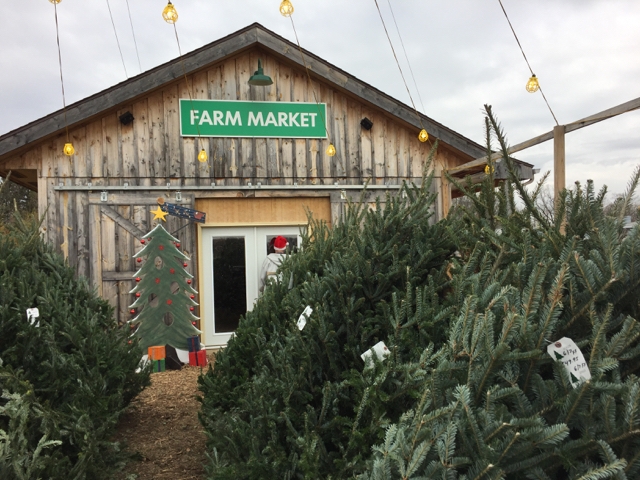 Check out the Farm Map to get your bearings before you go! 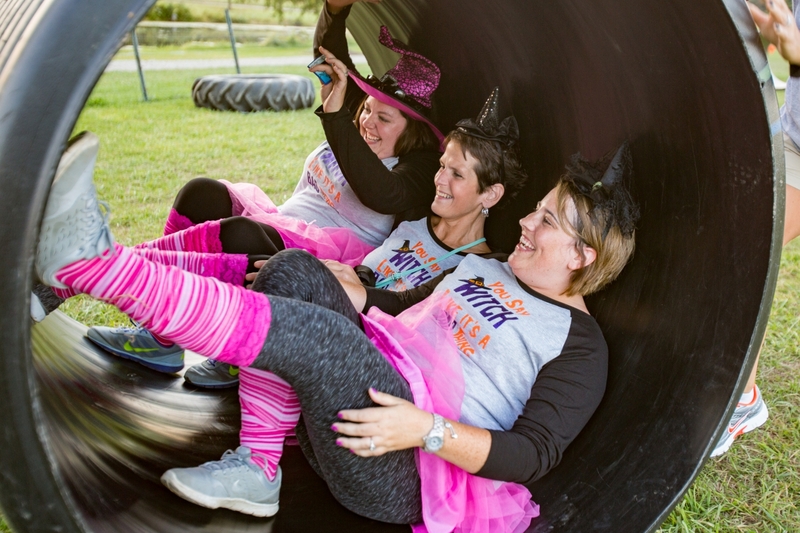 Hey Moms, does all of this look fun but you secretly wish you could do it without your kids? Then make sure you get tickets for Witches Night Out on October 4th! I’ll see you there! 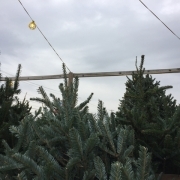 I’m partnering with Leeds Farm to tell you about this fun event! 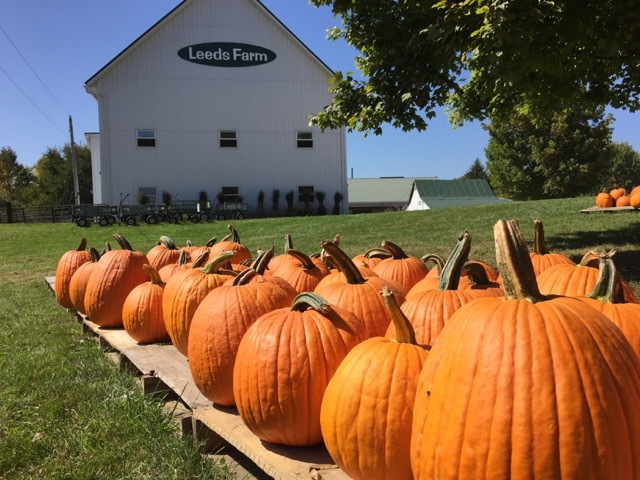 Leeds Farm to host Witches Night Out on October 4, 2018! 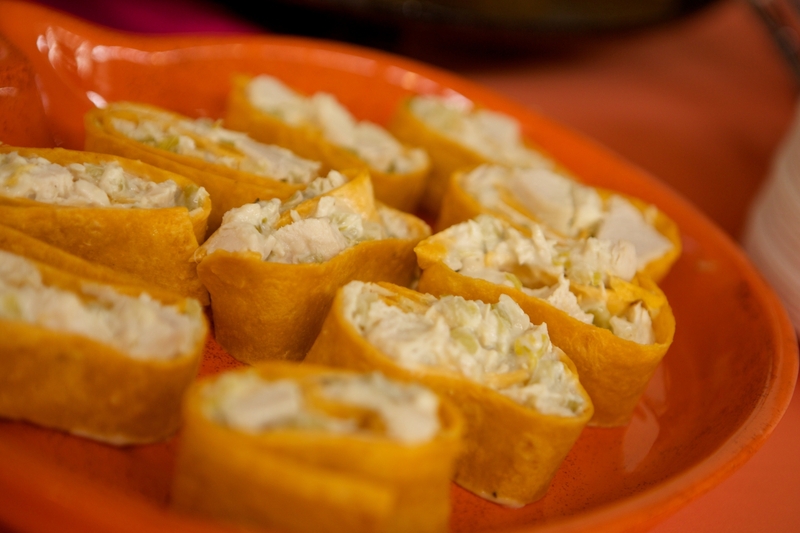 Looking for a new adventure for girls’ night out? 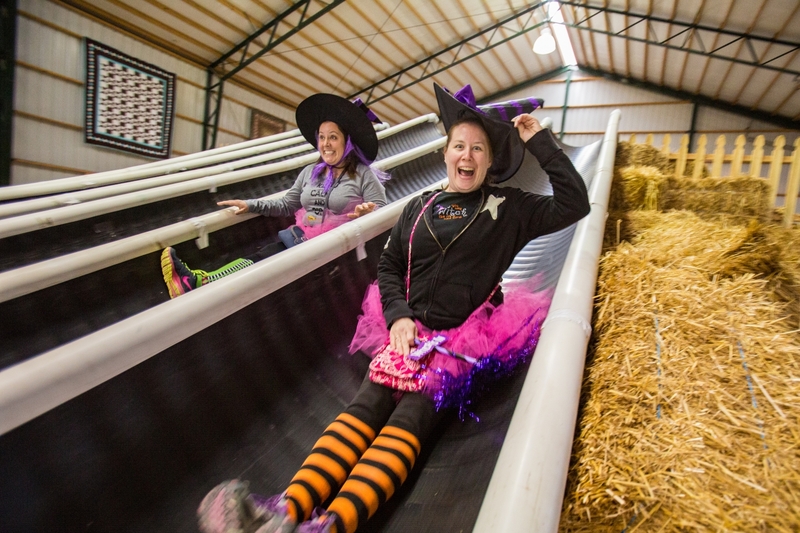 Then gather up your bewitching friends, hop on your brooms, and fly out to Leeds Farm for a wicked fun evening while supporting a great cause! Girlfriends-night-out fundraiser to benefit Pink Ribbon Girls! 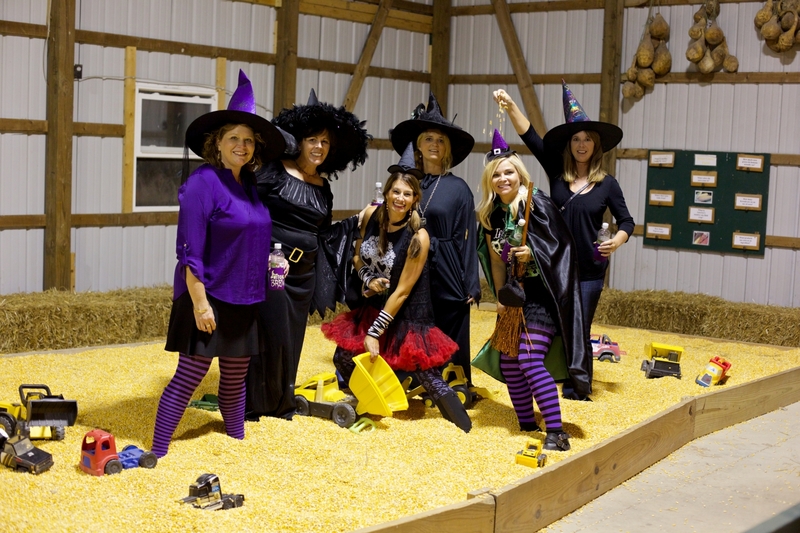 Leeds Farm is thrilled to announce the fifth annual Leeds Farm Witches Night Out! will be held on Thursday, October 4, 2018 from 6 to 8:30 pm. 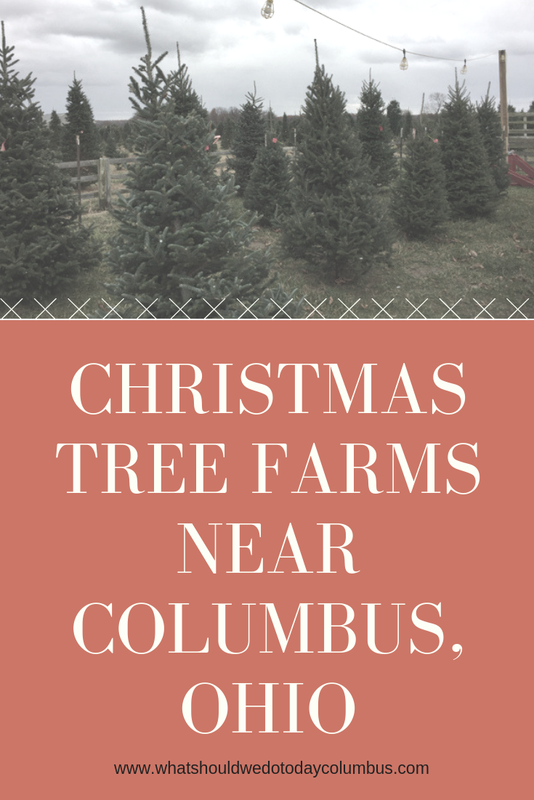 Leeds Farm is located at 8738 Marysville Road, Ostrander OH 43061, just 15 minutes north of the Columbus Zoo. encouraged to wear witch costumes, hats or other bewitching attire. 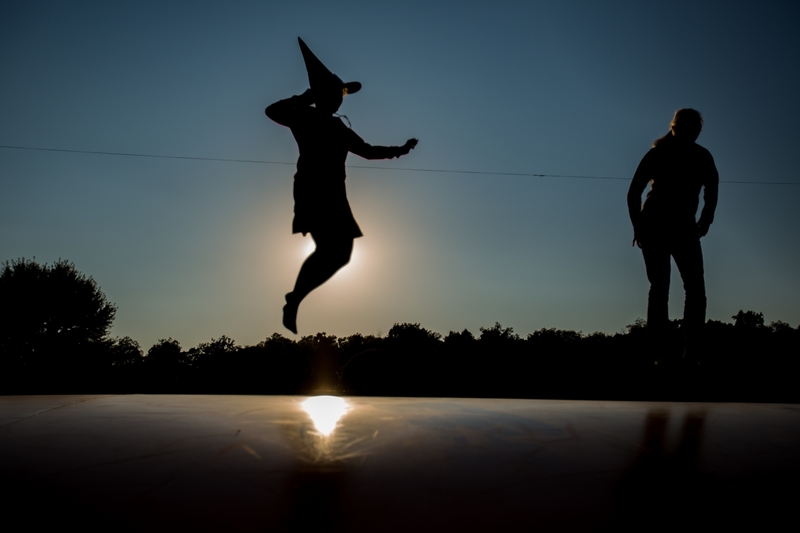 The October 4 event will kick off at 6:00 pm and while the kids are away, the witches can play! 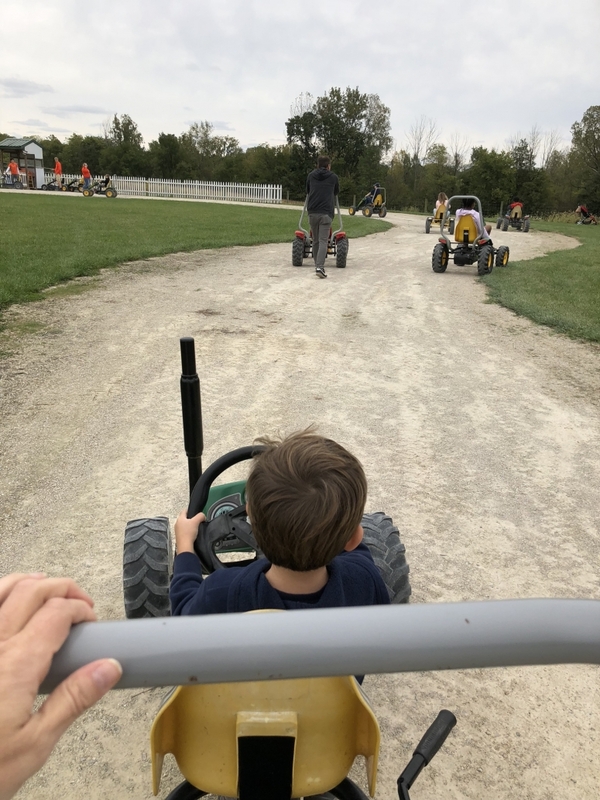 All of Leeds Farm’s fun activities including the Pumpkin Jumps, zip lines, pedal carts, rolling tubes, combine slide, mountain slides, hayrides, Paintball on the Porch, and much more are open to enjoy. Keller, owner of AUDIO-PRO Mobile DJ Entertainment, will provide music. Other event sponsors include Richwood Bank, Memorial Health, Honda Marysville, Performance Delaware, Westport Homes, Black Wing Shooting Center, Alice’s Piece of Cake, Great Photo Booth, and Geotechnical Consultants, Inc. 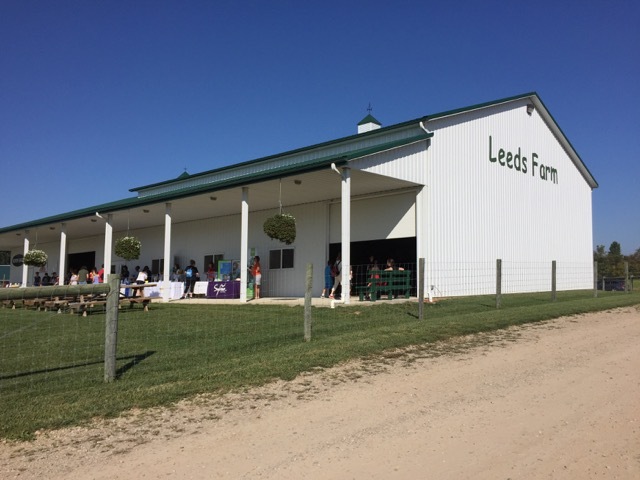 Throughout the event, attendees collect raffle tokens at each farm activity they visit. Guests then choose to enter their tokens in the drawing for 30 gift baskets, each with a value of approximately $200. There is also one Grand Basket with a $500 value! Wondering what to wear? Dress up in your favorite witch hat, fun accessory or full costume! 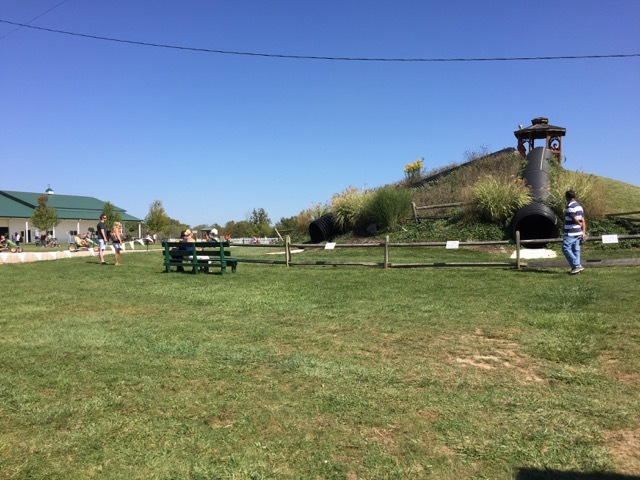 This is an outdoor event at a working farm, so dress for the weather and wear comfortable shoes. 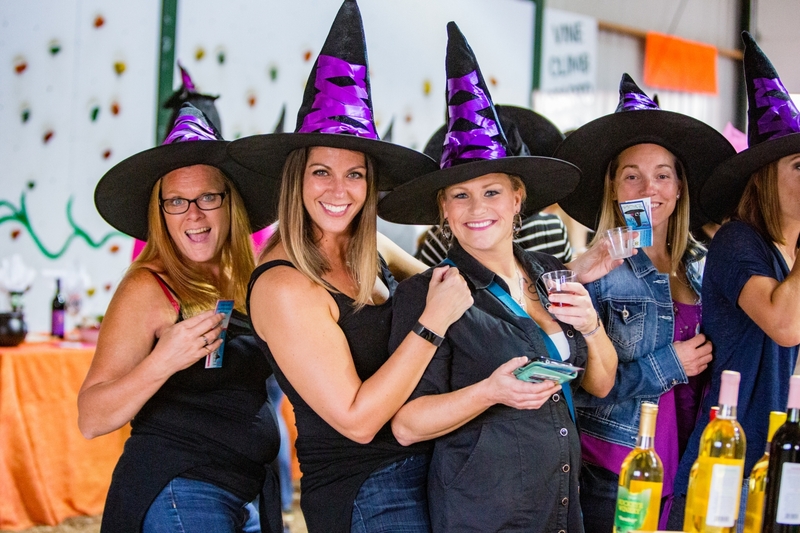 This year, Leeds Farm is proud to welcome five central Ohio wineries to serve Witches Night Out guests. 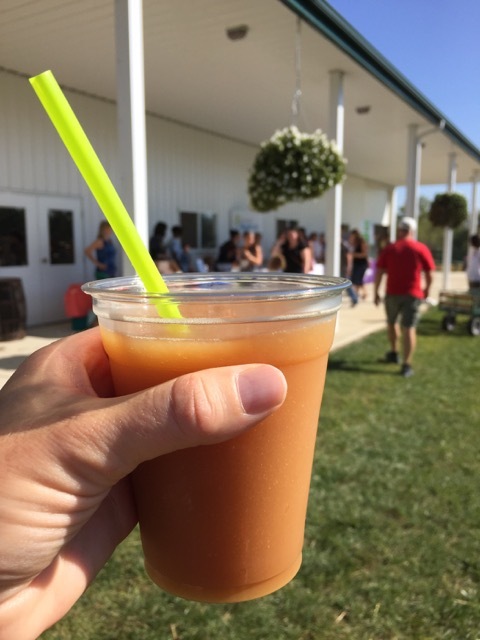 Participating wineries serving locally produced wines include Bokes Creek Winery, Buckeye Winery, Camelot Cellars Winery, Soine Vineyards, and Blend of Seven Winery. Admission tickets include one glass of wine. Additional glasses can be purchased at the event. Unopened bottles of wine can be purchased from the wineries to take home. 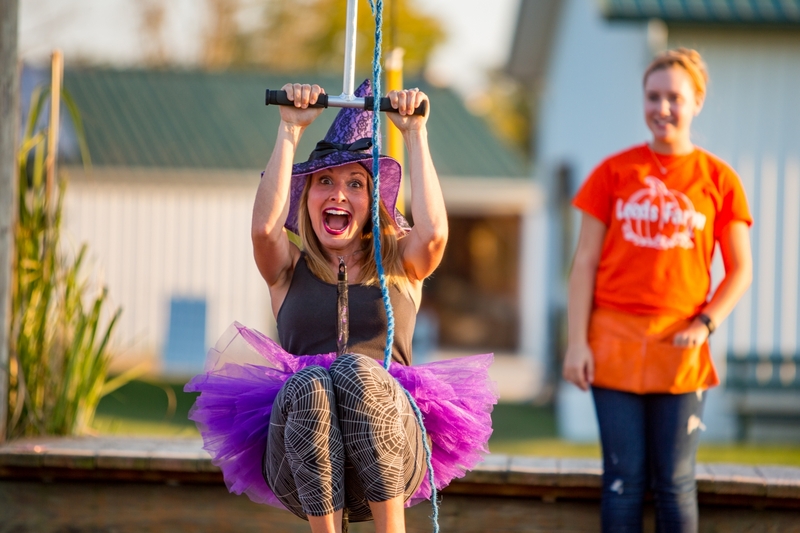 Tickets are on sale now and can be purchased online at http://www.leedsfarm.com/witchesnightout.php or Richwood Bank offices in Delaware, Marysville, Richwood and Plain City. In the case of inclement weather, the event rain date is Thursday, October 11. 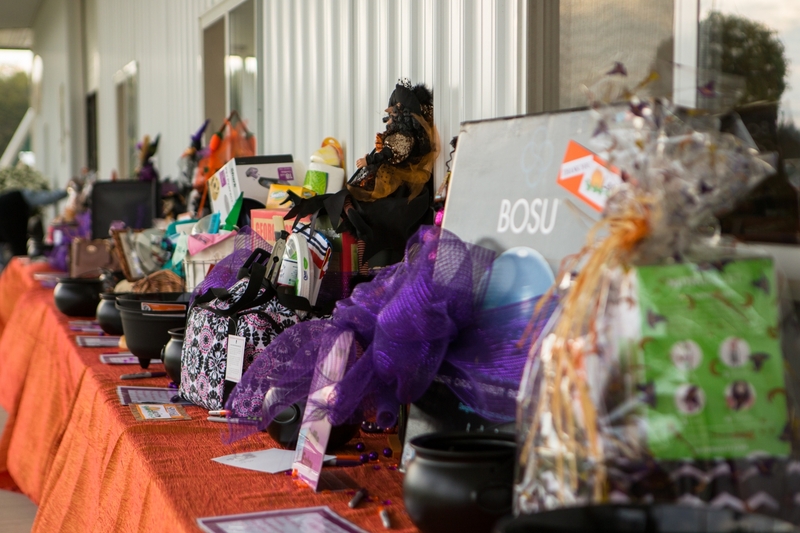 Donations from the four previous Witches Night Out events totaled $58,724. In 2018, 100% of ticket sales will be donated to Pink Ribbon Girls, a non-profit organization that provides healthy meals for the entire family, housecleaning, and transportation to medical appointments for breast and reproductive cancer patients during treatment. For more info about Pink Ribbon Girls’ services, visit www.PinkRibbonGirls.org. Questions can be directed to event coordinator Sherry Fisher at (740) 225-3256 or sherryfisher99@gmail.com. 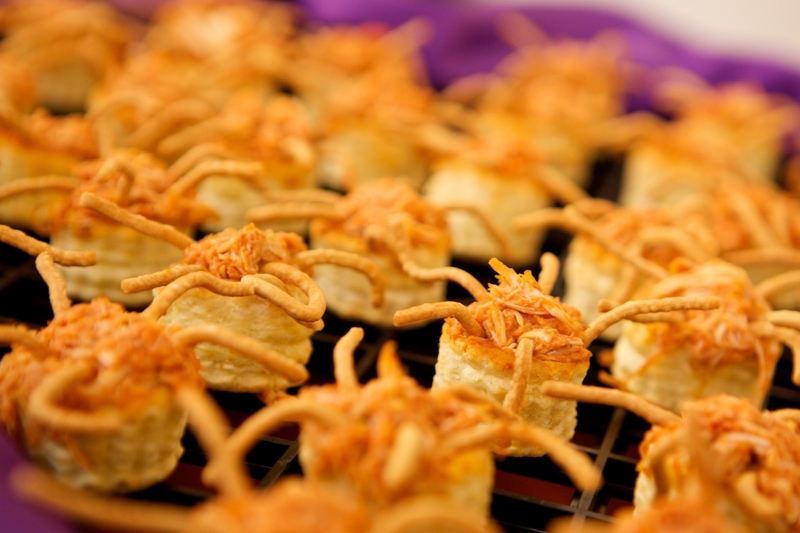 Want us to mark our calendar for YOUR event? Click here! 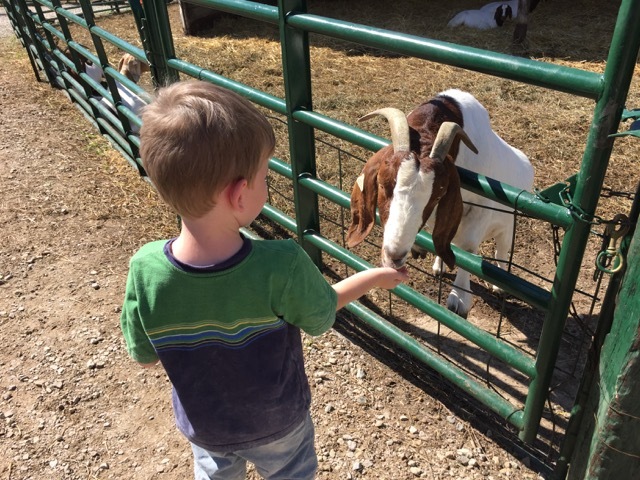 Want to visit Leeds Farm with your family? 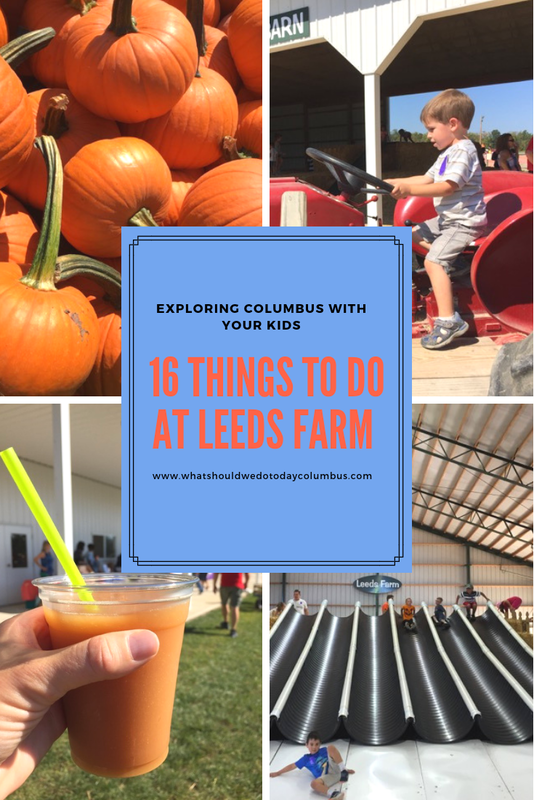 Check out 16 Things to Do at Leeds Farm! 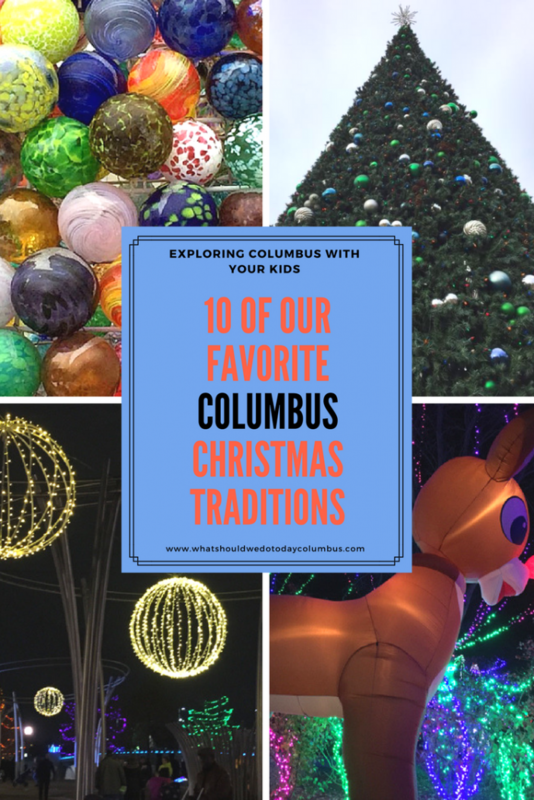 http://whatshouldwedotodaycolumbus.com/wp-content/uploads/2017/09/80A9026-1.jpg 1000 1500 Julie Miller http://whatshouldwedotodaycolumbus.com/wp-content/uploads/2018/01/What-Should-we-do-today-columbus-NEW-blue_03.png Julie Miller2018-09-02 16:00:172018-09-24 14:03:45Mark Your Calendar: Witches Night Out at Leeds Farm!